I picked this novel on a whim while I was at home for holidays. It was just looking at me from the shelf, and I am a fan of Nabokov, you know :) However, this is not a Nabokov I would recommend. 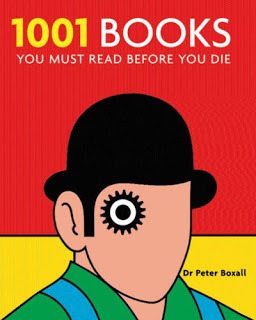 It's beautifully written, and some of the quotes I loved so much that I re-read them several times, but the plot is very difficult to follow, because frankly speaking there's no plot to talk about. 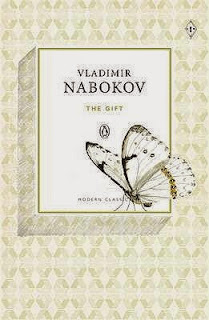 Although we should not forget that Nabokov hated searching for connections between art and real life and explaining books through the writers' experience, the novel seems to be autobiographical. It revolves around one of the thousands Russian emigrants living in Berlin after the revolution. He's a writer, and the story switches between describing his life and his works. The border between the two is very vague. You read about how the protagonist walks in the street and the next thing you realize you are in the middle of his novel. It's embarrassing and complicated, even for those who (like me) enjoy unusual writing. Moreover, somewhere in the middle of the novel the main hero decides to write a book about Chernyshevsky, and that is where Nabokov kicks over the traces. The rest of the book is a dive into Chernyshevsky's life and one big attempt to prove that he was a worthless writer. It was interesting up to some point, but it was just too much. The ending is beautiful in its uncertainty and symbolism, but somewhat crumpled because it comes after so much Chernyshevsky.